On October 1, 2016 KAIL cooperating with Simpul Space BCCF organized Systems Thinking Workshop at their place, located in South Cibeunying No. 5, Bandung and runs from 8.30 am to 17.30 pm. The theme in the workshop was education. The workshop was attended by 22 participants representing various communities, schools and individuals. The team was Deta Ratna Kristanti Iswari (Deta), Kukuh Samudra (Kukuh) dan Debby Josephine (Debby), trainers Systems Thinking of KAIL. In addition to the three of them, the workshop was also supported by student volunteers, namely Habib, Farhan and Hana from ITB. Habib and Farhan acted as group mentors and Hana did the meeting minutes. In this workshop, the participants were introduced to the basic concepts of Systems Thinking and practiced it as a strategic planning tool. 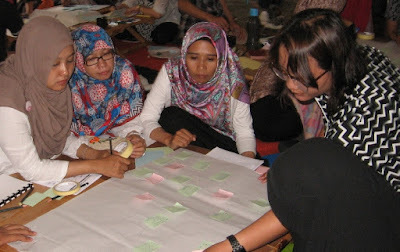 To ensure that participants understand the material and be able to practice Systems Thinking, they were divided into four groups, each of which was accompanied by a mentor. Each group chose a theme that will be appointed as a case to be discussed together. The themes raised by each group were: family education, ideal teacher, mindset and character of child, as well as individual learning. The methods used in this workshop were very diverse. A serious conceptual framework lecture, interspersed with fun games that make abstract concepts easier to understand, and is followed by practice of direct application of the concepts in the context chosen by each group. 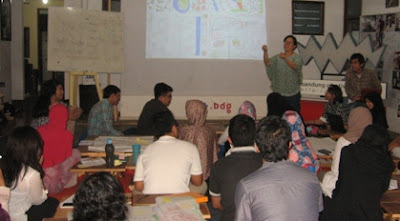 Participants were very enthusiastic throughout the workshop process. By the time the session ended, they went home with happy face. In KAIL garden there are twenty-six ducks, six males and twenty females. The ducks are kept in a special place by a bamboo fence. In it there is a pool for the ducks to drink and swim. 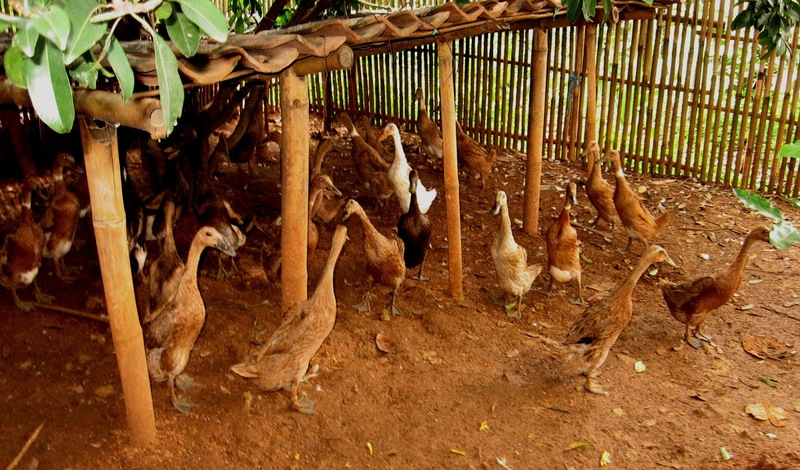 There is also a sort of raised bed under the sapodilla tree to place the ducks shelter when it is hot or raining. Ujang, who lives in our neighboring house, takes care of the ducks. He is in charge of feeding the ducks twice a day. The food is varied, ranging from rice bran, corn, leftover of rice and vegetables as well as snails. Sometimes KAIL staffs also stop by to feed the ducks with leftover food brought from home. Initially, ducks rarely spawn. Usually they do not lay eggs while molt. Once observed, nesting frequency likely influenced by the number, the type of feed and the quality of the happiness of the ducks. The last two months, they have started diligently laying eggs. Perhaps this is due to the snails that Ujang captured from rice fields. Now we can begin to enjoy duck eggs. 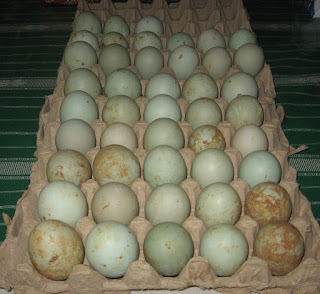 Our staffs can buy duck eggs with the price of Rp. 2.500, - per item. When there are remaining eggs, outsiders can buy them. So far, the eggs are still consumed by KAIL staffs, either to take home to stock the protein, or fried or boiled for lunch at staff meetings and other activities KAIL. Duck eggs taste delicious. The egg can be boiled, can also be fried. It could also be marinated first. The yolk is round and large. It is very savory and delicious. Eggs can also be used as a mixed for baking cake or other food preparations. Hopefully with more diligent ducks lay eggs, more people can enjoy the savory duck egg. Thanks, ducks! Have you ever eaten urap? Urap is a salad dish of steamed vegetables mixed with seasoned and spiced grated coconut for dressing. Well, one of the best vegetables for delicious urap is kenikir leaves. 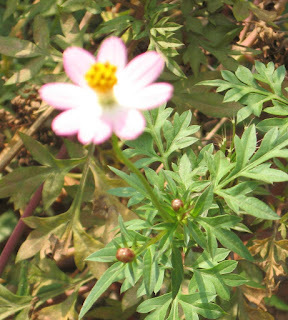 Kenikir, known as Cosmos caudatus, is a tropical plant originally from Latin America, grows wild and easily found in Indonesia too. 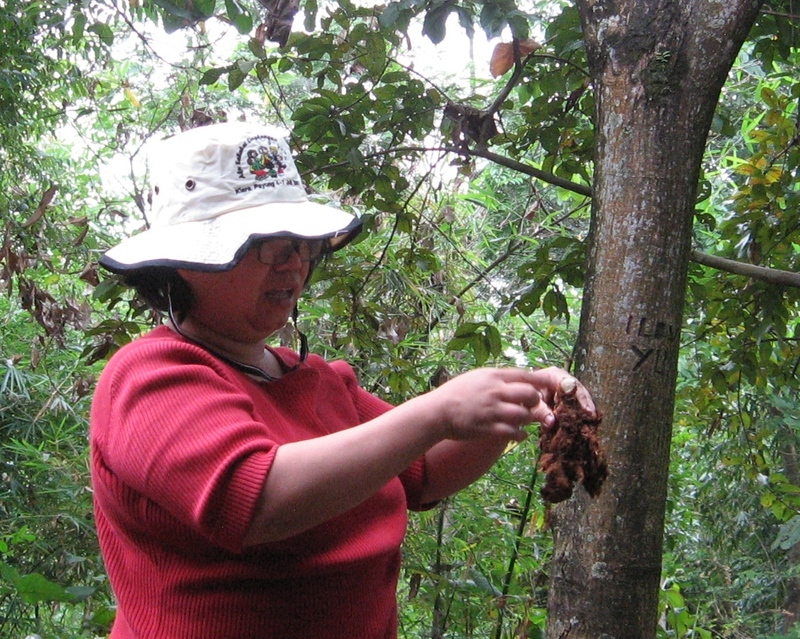 The leaf for urap is not just any kenikir leaf. It is the one with tiny flowers with a crown of pink on the outside and white in the middle, and its stigmas are amber. In addition to the salad, kenikirs also have other functions. These plants are also often planted as an insect repellent because the smell is particular. 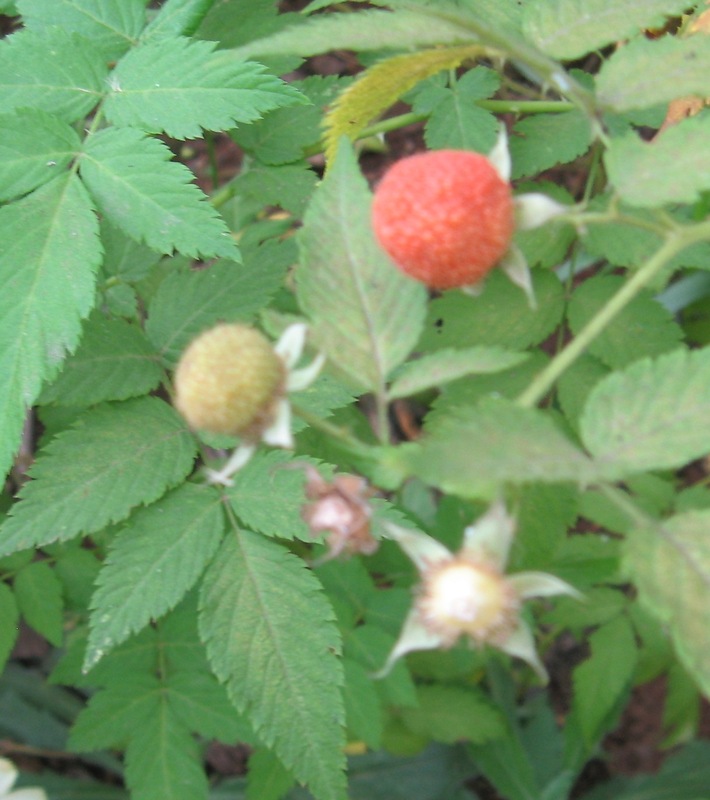 The types of kenikir that are commonly found are the one with yellow and orange flowers. 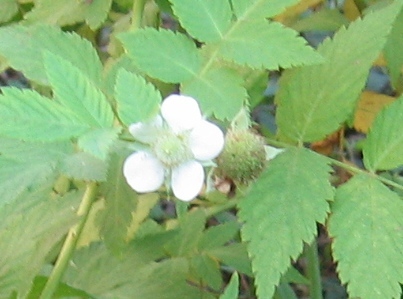 The leaves of these kenikir are not to be eaten. How to plant kenikir is very easy. The old flowers will produce seeds. Dry seeds will fall on the ground and grow into new kenikir trees. In KAIL gardens, there are many new kenikir-growing from seeds that fall from the first kenikir tree. 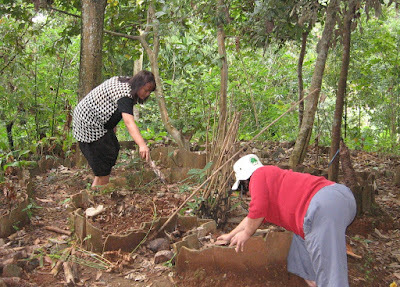 About 15 months ago, Deta, Dhila and Mrs. Ela made beds in front of the kitchen Home KAIL. Bed was created as a means to practice practice makes permaculture-style gardens. Bed in front of the kitchen it aims to provide the necessary spices for cooking. 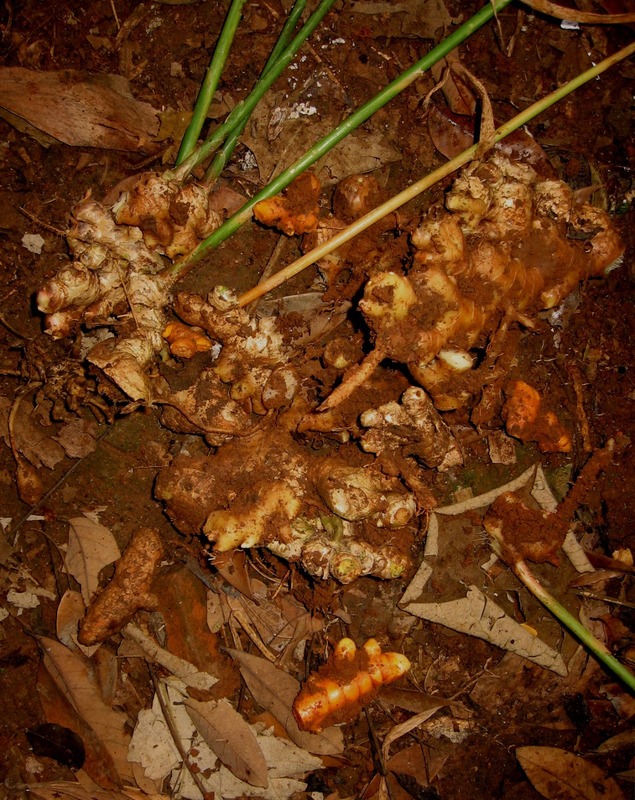 Most are planted rhizome-rimpangan variety such as ginger, turmeric, kencur and buffoonery. When viewed from above, the bed is shaped like a keyhole. Parts such as keyhole used as a place to plant, maintain and harvest; while parts such as keyhole part of the house used to create a worm. Whenever there is activity KAIL, we incorporate many leftovers home to worms. Included in the category of food waste is a farrago of grain. Grew among others the seeds of citrus trees, jackfruit, mangosteen, avocado, bark and cayenne pepper. Most of the seedlings are moved elsewhere, while the rest are still in the bed. Nothing feels more year has passed. Seasons change, drought dries the entire bed followed by a rainy season that grow leaves rhizome-rimpangan verdant meet bed. Then, at this time, drought comes again. The leaves to dry rhizome. Bulbs popping. Well, turns out tiny little bulbs germinate once planted, now grown up. Ready for harvest. Fun! The plan, ginger ginger will be made to complete the course in one of the activities KAIL come. There are three chickens roam freely in KAIL garden. They belong to a neighbor. They like to visit the gardens since last Eid. 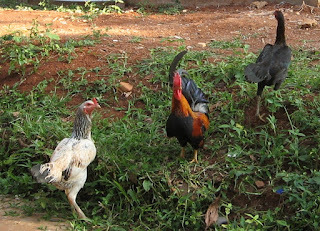 The chickens are beautiful, glad to see them. However, a problem arises. When they visit the garden, they often search for food among the plants in the garden. So, many plants are damaged. One bed of corn and peanut depleted ruined. Not to mention the grass in the backyard. And, the ginseng plant leaves are exhausted. Sniff! 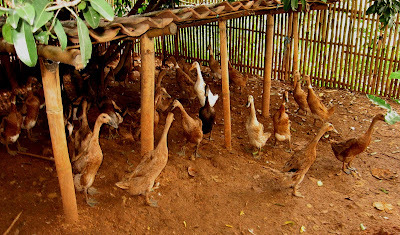 Hopefully soon we find a best solution together to solve this problem with the chickens. Several months ago, Fitri from the Joint Study Group presented a white mulberry tree to House KAIL. The tree was planted in front of the bed along with paper flowers, kale, marigolds and other crops. One tree is then grown, flowering, fruiting and multiply into many. The flowers are tiny and white. 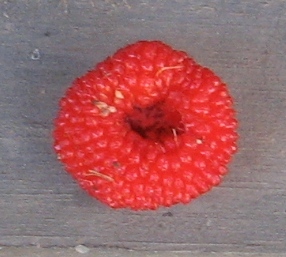 The young fruit is green and becomes red when ripen. It tastes sweet and sour. Slurp! According to Ms. Fitri, mulberry fruits are best for jam. Hmmm ... we still have to wait though. 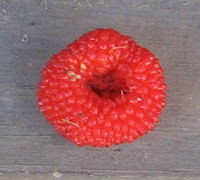 Because, the fruits in KAIL garden are still too few if you want to make jam. Hopefully we’ll get more and more fruits. Thank you, Fitri. 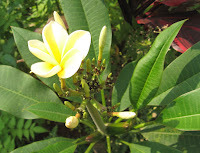 Years ago, a friend from Jatihandap, Esti Wijayanti, gave a Plumeria cuttings for KAIL garden. 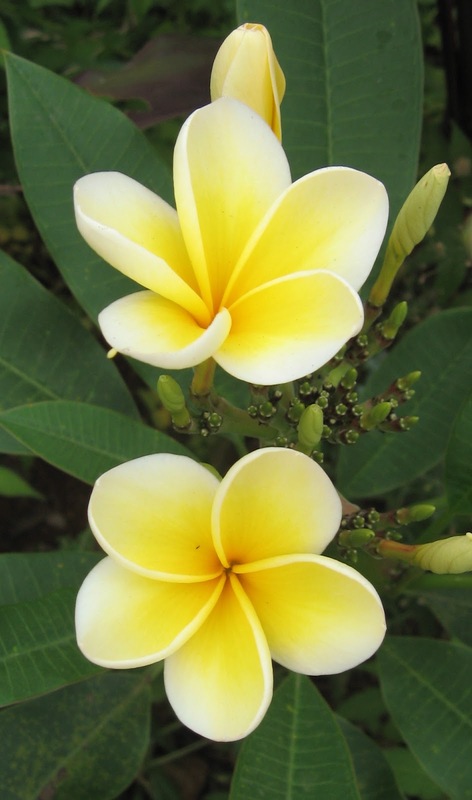 Plumeria, also known as Frangipani, is native to Indonesia and is called as yellow cambodia by the locals. The cuttings are then planted in the front beds of House Kail at the beginning of the last rainy season. The cuttings are then grown leaves. At first was two, then four, and now widely. Well, this month the cuttings start flowering. First flowers bloom on the date of August 3, 2016. The next day, the second flower follows. They are very beautiful. More and more flowers are in bloom. Really beautiful! Thank you, soil and water. Thank you for helping to grow this beautiful yellow frangipani. And, thank you, Esti.